We are officially on summer vacation at our house! 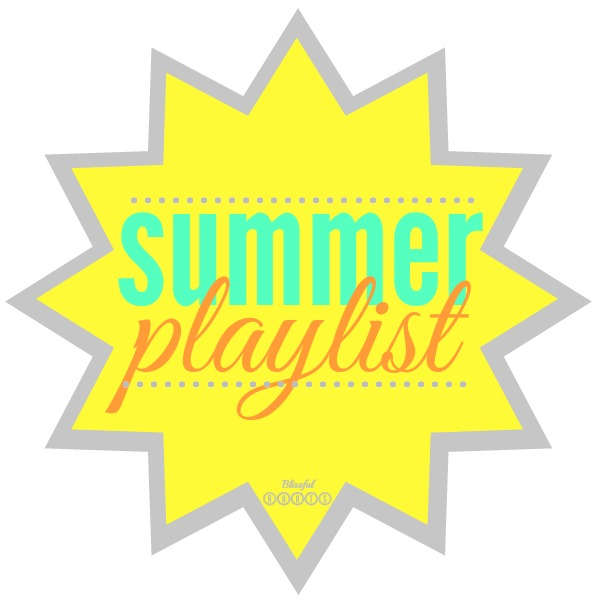 And summer, for me, is one of those times of year that absolutely requires a playlist! It's no secret I'm a big fan of music. If you've been here at Blissful Roots a few times before, you've probably come across one or two of my playlists. I simply love what music does. It lifts your spirits, creates memories, and adds an extra touch to any atmosphere. Growing up in a small town, summer days and nights are some of my most fond memories. I grew up on country music, (hence all the country songs in my playlist) and still to this day I can't help but feel like I need a little Brad Paisley playing in the background during the bright, carefree days and long starry nights of summer. As I mentioned, I do have mostly country songs in my playlist, but I did include a bit of Olaf from 'Frozen', Coldplay, and In The Summertime by Mungo Jerry to mix things up a bit. And if I had to pick a favorite right now, it would be Brad Paisley's Beat This Summer for sure! I heard it last year, and listened to it way too many times last summer (but never got sick of it). Now that summer's here again, I've got that song playing over and over again. It perfectly captures the essence of summer for me. So, even if you're not a country music fan and don't want to try out the playlist, you have to give this one a shot for sure! What are your favorite summertime tunes?